LAFAYETTE, La. 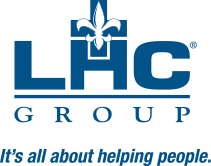 (Jan. 31, 2019) – LHC Group (NASDAQ: LHCG) and Unity Health today announced finalization of an equity partnership agreement to purchase and share ownership of two home health providers in Arkansas: Unity Health – White County Medical Center Home Health in Searcy and Unity Health – Harris Medical Center Home Health in Newport. The agencies serve patients and families in their respective communities and the Northeast Arkansas region with in-home healthcare.